We host numerous events at the cafe and in the local community throughout the year. The calendar below highlights what is on our schedule at the moment. If you would like to schedule an event at the cafe, please feel free to contact us for arrangements! Come on down and get involved with one of the newest and best Card Games about! Southampton On Board – A Board Gaming group that meets in the Board in the City Cafe in Southampton every Monday evening from 7pm to play a diverse and wide variety of board and card games ranging from the most conflict heavy Ameritrash to the brain-bending heavy Euro to laugh out loud Party & Filler games. The group is open to all, we’re always looking for new members, we’re friendly people (honest!) so if you want to join, feel free to simply turn up and introduce yourself! Possibly one of the biggest Destiny group meet ups on the South coast! Destiny, a collectible dice and card game for two players! If you want to play or learn about MtG Commander, also known as edh. Then come along, every Thursday from 18:30. Also if you haven’t already, please join the BitC Magic Southampton group, this is the place where we post all events and for people to get together and discuss all things Magic. If you want more information on the format, check out the link below. Fancy a bit of Magic the Gathering on Friday evenings? Here at BitC, Rachel from Lvl Up and Ben, host fun, friendly Magic the Gathering games. Come along from 7pm, for a 7:30pm start. From complete novice players to expert players – all are welcome to rock up and play a casual game. It can also be taught to anyone wanting to give it a go! Every Sunday, we will be running our student offers! 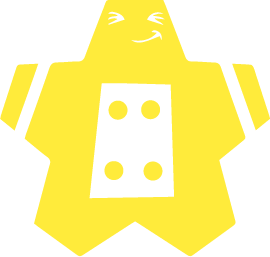 Double Dice Discount: Each member of your group rolls our 2 giant foam dice, and the highest score is the discount applied to each group member’s bill. For example, if you rolled a 6 and a 4, you’d get a discount of 10%. Cardboard Camp 2 – The Sequel! After a great first outing, Cardboard Camp is coming back! Is this the start of a monthly-ish pattern of game design nights? Definitely maybe. Join us for an evening of creativity, collaboration and craft as we attempt to throw together some interesting and exciting board games. There is no fixed schedule, but some loose structure will be provided on the night to get us all started. Whether you’ve never designed a game before or you’re a seasoned expert, you’re more than welcome to come along. Some prototyping kit will be provided but please do bring pens, paper, tokens and anything else you think may prove useful. If you come and see us on Easter Sunday, you may be lucky enough to find a little plastic Easter egg. All you need to do is take it to the bar to redeem a free choice of an edible reward! It is that time again for the next Magic set to come out. If you want to be one of the first people to play with the new cards, the pre-release is the event for you. The cost is only £25 per event, you can either pay over the phone or in person at the cafe.